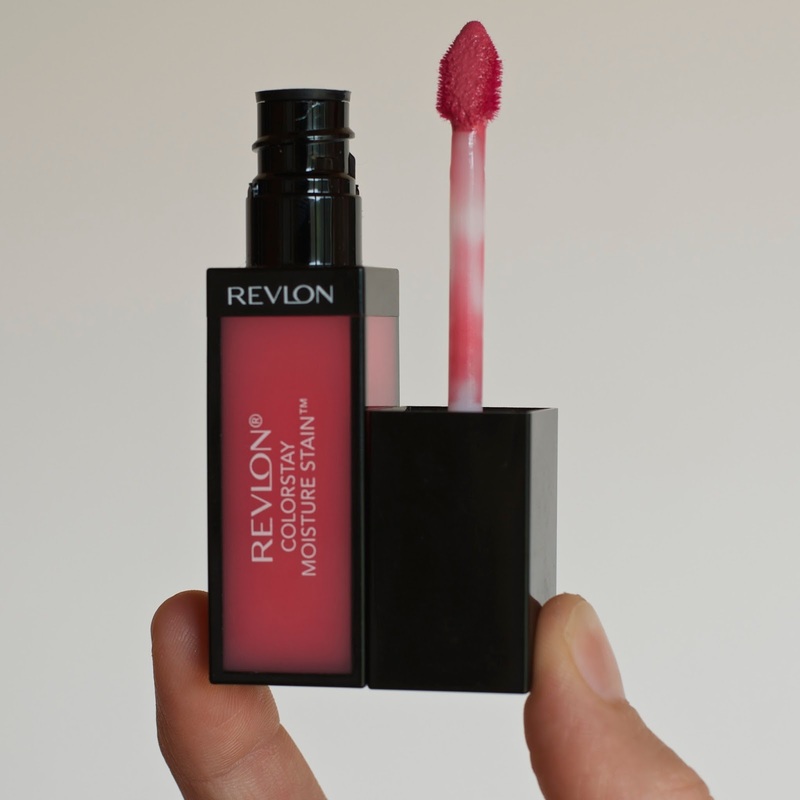 I picked up the new-ish Revlon Colorstay Moisture Stain in LA Exclusive back in August when I was in Scotland after hearing Fleur rave about it. Since then I’ve read very mixed reviews about this one and when I first used it I understood why very quickly. It is a weird lip product ! It is quite thick and gluppy and honestly when you first apply it; it looks awful ! I tried to take a picture of it but it doesn’t translate as well on camera. When you first apply it, it settles into the lines of your lips and looks very uneven and thick. The first time, I tried layering it to make it more even but it only made things worse. The trick with this one is to be patient. Once you applied it (1 layer is enough, try and make it as even as possible) you wait a few minutes and tadaaaa ! I don’t understand how it works but it does. The formula sort of melts into your lips (becomes slightly darker as well) and everything looks smooth and perfect. It still feels thicker than your usual lip product but it’s not sticky and has a beautiful shine to it. What I like the most though is the lasting power. Not only does it last extremely well (probably due to its thickness) it also fades very nicely. You won’t be left with just a line on the outside of your lips as this product fades very evenly ! How unflattering are these close-up shots ?! All in all I love it ! I don’t mind waiting a couple of minutes for a product that is going to last that well on my lips ! Have you tried these ? What side are you on, love or hate ? I've heard a lot about these, this one looks gorgeous on you! So odd about how it takes a while to settle in, haha! Yeah I'm really glad I picked it up. It's LA Exclusive btw. But I didn't see myself wearing any of the other ones. I love the packaging on these. They look really sophisticated! All i've heard so far are really good reviews! I'm really looking forward to getting one but they don't stock them in my local stores and if the one good thing i've learned from being a beauty blogger is to swatch!! Yeah I'd recommend swatching them … some of the colours are a bit odd.